True Storey | Warning rant in progress! Proceed at your own risk! Warning rant in progress! Proceed at your own risk! The United States has steadily slid down the list of the global rankings in education standards, but why is that? It could be suggested that the problem lies in the fact that almost half of the teachers accepted by teacher preparation programs were ranked in the bottom half of their high school class. So what should the standard be? In 2013, the state of New York introduced four assessments in an effort to raise the quality of teaching in elementary and secondary education. This included the Academic Literacy Skills Test, ALST. But now the New York state Board of Regents is dropping it from the requirements. Tests like the ALST have recieved intense scrutiny for a supposed racial bias, because just 46 percent of Hispanic test-takers and 41 percent of black test-takers passed it on the first try, compared to 64 percent of white candidates. In 2015, after the bias was first reported, a federal judge ruled that the tests were not discriminatory. However, what a judge decides has little bearing on social justice. Oppoents of the tests find it “problematic” that so many of those screened out of the teaching pool are racial minorities. While roughly 80% of all teachers are white, the latest data says that only 50% of government school children are white. This 30% difference is what has the SJW’s in a tizzy. That is a discrepancy that can’t be ignored. Interestingly enough, there is another discrepancy that is being over looked. In that same study, the Department of Education found that 76% of teachers are female, while women make up only 50.8% of the US population. That leaves another 26% difference, this time leaving men, a slight minority of the population, in the cold. If that inequality is acceptable why do we need to force unqualified people into teaching just to balance this out? It seems obvious that the worst teachers end up teaching in the worst schools. The worst schools are usually in poorer areas where there are more minorities. If the standard is lowered to make more black and Hispanic teachers the education of the poor black, white, and Hispanic children will be what suffers. I ask you, what’s more important to you in a teacher for your kids? Would you prefer to have the most qualified teacher or the teacher that most closely looks like your child? That is an easy question for me to answer, but I don’t hold any prejudice against teachers for their race. 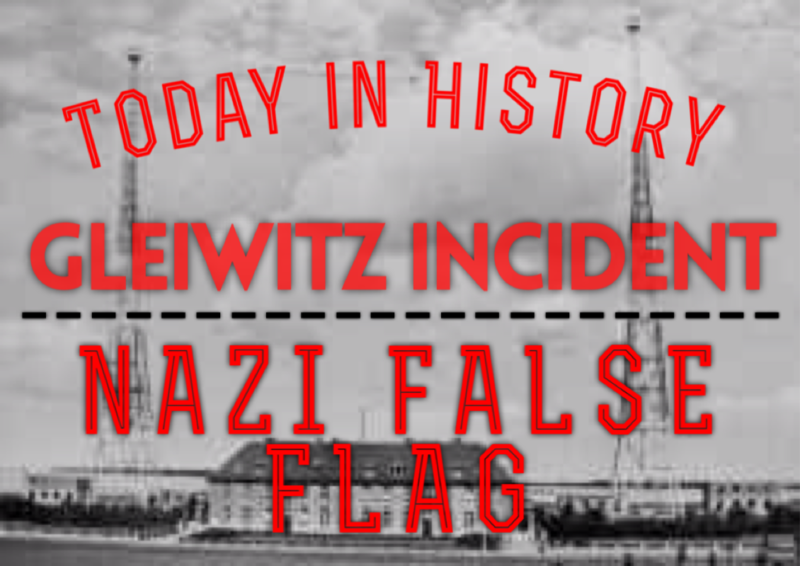 On August 31, 1939, German SS operatives perpetrated a false flag attack to create an excuse for invading Poland. Most of what we know of the attack, known as the Gleiwitz Incident, was revealed in an affidavit by SS-Sturmbannführer Alfred Naujocks during the Nurumberg Trials. Naujocks admitted that he organized the event under orders from Heinrich Müller, chief of the Gestapo. The German radio station, Slender Gleiwitz in Gleiwitz, Germany (part of Poland since 1945) was attacked late at night by men wearing complete polish uniforms, led by Alfred Naujocks. After the invaders took the station, an anti-German message was broadcast in Polish. The content of the broadcast is uncertain and disputed today. Afterwards, a body was provided as evidence to local police and press that the attack was the work of anti-German, Polish saboteurs. The body belonged to Franciszek Honiok, a 43-year-old unmarried German Silesian Catholic farmer. Honiok was a known Polish sympathizer. He was not, however, a part of the assault on the station. In reality, he had been arrested by the Gestoapo the previous day. He was dressed in the uniform and murdered via lethal injection by his captors. He was then taken to the scene and shot multiple times and left dead. Honiok was not alone, several other prisoners at the Dachau concentration camp were kept for this purpose. These patsies were referred to by the code name Konserve, or “canned goods” in English. During the Nuremberg Trials Erwin von Lahousen stated that his division of the Abwehr (one of Germany’s intelligence gathering agencies) was ordered to procure the Polish uniforms, equipment and identification cards used in the operation. The Gleiwitz incident was a small part of a larger operation carried out by Abwehr and SS forces, dubbed Operation Himmler. It involved several other orchestrated attacks along the German-Polish border at the same time, designed to give the appearance of Polish aggression. The day following the Gleiwitz incident, Septmeber 1st, 1939, Germany launched operation Fall Weiss, the invasion of Poland. Though the incident gave Hitler his casus belli, it did not convince the international public. American correspondents came on the scene the next day but no neutral parties were allowed to investigate the incident in detail, leading to scepticism of Germany’s version of events. At any rate, Germany still invaded Poland and thrust Europe into the Second World War. If not for the Allied victory and the Nuremburg Trials we may have never learned the True Storey of what happened that night 76 years ago. If you enjoyed this piece, please share it with your friends on Facebook and Twitter. And don’t forget to leave a comment at the bottom and let us know what you think. 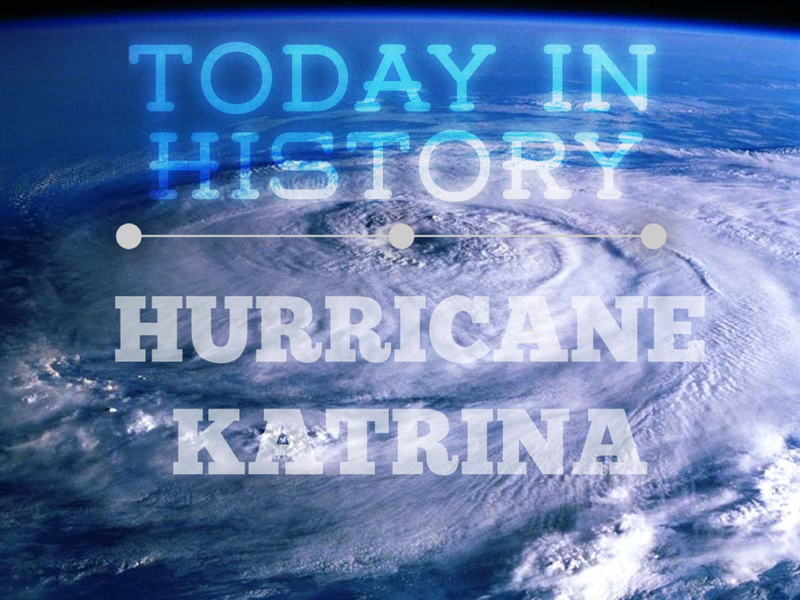 Today is the ten year anniversary of the day Hurricane Katrina made landfall in Louisiana as a category 3 hurricane. By this time, most of the damage had already been done by the storm surge. Most people think of New Orleans first when Katrina is mentioned. While the Big Easy did suffer from the largest loss of life, it was the less talked about Mississippi Gulf Coast region that had the most property damage. This is likely due to the fact that the less densely populated Mississippi coast was home to countless casino barges that were pushed inland into homes and businesses. 90 percent of Mississippi’s beachfront towns were flooded with water reaching up to 12 miles inland. This single storm changed the way that a major city and a state’s entire coastline looked. Ten years after the fact and there are still parts of New Orleans that have not been rebuilt. It was thanks to the less than perfect recovery effort that brought us Kanye West’s famous quote, “George Bush doesn’t care about black people.” So on this great Saturday morning take a minute to remember the devastation… and Kanye’s penchant for ridiculous comments. I’M BACK! And I’m coming for YOU Socialists! It has been well over two years since I last posted any True Storey Blog original material, and about a year since I wrote anything on a regular basis. I’ll go into more detail about what I was doing during that time later. What first brought me to the blogging world was the 2012 election and Mitt Romney’s failure to oust Barack Obama three years ago. After the election I felt like I should have done more to spread the gospel, so to speak. I vowed (to myself) that I would not make the same mistake again, and though I spent some time away, I’M BACK! The political world is heating up and I can’t stand to sit on the sidelines any longer. After eight years of Obama’s closet Marxism, we now have an admited socialist running for president on the left, and he is actually giving Hilary a run for her money. Of course she is doing more to destroy her campaign than anyone else could ever do. Things are a lot different on the right side of things with more candidates than I care to count. Everyone is talking about Trump, which may or may not be a good thing. In the coming weeks and months I will be going into more detail and looking for some truth under all of the hype. Now, what the hell have I been doing for the last two years? Well, many of you who have followed my writing and my Facebook page, Tyler “True” Storey, will already know that I started writing for Uncle Sam’s Misguided Children and stopped posting original material here. I stayed with that website for about a year. I met a lot of people and made many new friends, one or two I still have today. Unfortunately, my departure from Uncle Sam’s didn’t go as I had planned. My hope was that I would leave on a good note and keep the door open should I ever want to go back. That door, I fear, has been locked to me. Anyone who knows Uncle Sam’s knows the controversy they’ve delt with in the past, though I admit that I have not kept up with them since leaving. When I first joined the Misguided writing team I got in on the ground floor of the website. As to be expected when dealing with people over the internet that you’ve never met, and some you’ve never even seen a picture of, everyone tends to get a little paranoid. The writing team seemed to be in constant turmoil with mass exoduses on a regular basis. One person would get upset with something or other and quit and some conspiracy would form and half the team would drop off the face of the earth. For over a year I stuck it out and rallied the remaining team and helped recruit new writers. During this time I took a leadership role in the group and was even given the title of Cheif Editor. I eventually started getting burnt out between my regular job and this unpaid position. So, other writers were brought in to help with the editing until I slowly just quit doing it altogether, only editing and posting my own work. The organization’s head tech guy got upset about something and quit. The thing is, he didn’t just quit, he came up with all these claims that the group’s founder was ripping people off on tshirts he wasn’t shipping and some other things. I’m not sure what of that was true or false. At the same time lot of the team quit and the website, that he had control of, crashed. It was said that he did it on purpose on his way out, but I don’t know the truth of it. After the issue with the website, all of the material that had been produced over the previous year was stripped of any credit to their authors. I quit shortly after just because I was burnt out and fed up. Most of the people that quit over the accusations of fraud joined together and formed a website and a Facebook page of their own. My separation from USMC was unrelated, but I was contacted by this new website, because none of the writing team had left with them. I agreed to help them out even though I had lost most of my zeal for writing. When the Misguided Children admin saw that I was writing for their enemy I was quickly blocked by most of them. I had left on good terms but my association with the other website made it look like I was turning my back on them. I regret that decision but it is what it is. I didn’t stay on with this new platform very long and only produced a couple of articles. They never recruited any more writers and the last time I checked their website has no news. It only sells merchandise. Since then it has been almost a year and I haven’t written anything else on politics. However, I did write a couple of short stories that I really enjoyed. Spent some time toying with an idea for a novel that I hope to write one day. The most discouraging part of this whole thing is that nothing I wrote for Uncle Sam’s, or the other website, is still published, with or without credit. I know Uncle Sam’s had to change their URL, possibly because of the crash/hack, and maybe they lost their archive. If anyone from USMC runs across this, I hope you understand that I did not ever have any hard feelings or ill will towards anyone there. Now that this is out of the way, it is time to move on to the next chapter. All of the controversy over former Baltimore Ravens’ running back, Ray Rice, knocking his wife unconscious in a casino elevator has now elevated to the level of distraction. Normally I would not write about these celebrity faux-news stories, but this one in particular has made it’s way into my crosshairs. I’m going to use this opportunity to explain exactly why this is an exaggerated distraction, an all too common tactic of the mainstream media. Now, before I begin, let me preface this post by saying that I do not condone Mr. Rice’ actions, nor do I think “she had it coming,” as several commenters have written. In the early morning hours of Saturday, February 15, 2014, Atlantic City Police responded to the Revel Casino for a domestic dispute call. Uniformed police officers determined that both suspects had thrown, and landed, punches on each other. The two guilty parties were Ray Rice and his then fiancée, Renay Palmer. Four days after the incident a video was released by TMZ showing Rice dragging an unconscious Ms. Palmer out of an elevator. A second video was released just this past Monday showing the happy couple entering the elevator and the altercation taking place. The footage from inside the elevator is a low quality and leaves any fast movements blurred so it is unclear what exactly did happen via the video. It appears that Renay walks in first and pushes the button as Ray is walking in. As the doors close it looks like she may have spit at him and swung at him. It is unclear in the blue if he actually swings at her then, but he does back up to the far corner of the elevator. Wen he backs away she pursues him and he throws a haymaker that probably knocked her out completely. If the punch didn’t do it, then the elevator wall did, because when she went down, she smacked the side of her head on the rail that goes around the elevator walls. Ray Rice then appears to try and pick her up onto her feet with no success. The elevator doors open and close while he is trying to get her up. When the doors open again he drags his soon-to-be wife out into the hall by her feet. The first video released was the vantage point outside of the elevator and it only showed Ray Rice dragging Ms. Palmer out of the elevator into the hall. Both Rice and Palmer refused any medical attention and were both arrested for simple assault, a misdemeanor offense. Five weeks later the charges on Ms. Palmer were dropped and Ray Rice was indicted by an Atlantic County grand jury with an upgraded charge of third-degree aggravated assault. Interestingly enough, Ms. Palmer became Mrs. Ray Rice the following day. Rice plead “Not Guilty” and requests to be placed in a diversionary program for first time offenders. His request was granted and no further punishment is levied. It wasn’t until July 24 that NFL Commissioner Rodger Goodell hands down a two game suspension to Rice after having met with him and his new wife at NFL headquarters. After harsh criticism the NFL instituted a new rule making any first time domestic violence incident a mandatory six-game suspension, and a second offense means a lifetime ban for all players and League employees. The controversy is renewed when TMZ releases the first half of the incident with the footage from inside of the elevator. Hours after the tape is put online the Baltimore Ravens released Rice from his contract and Goodell announces Rice’s indefinite suspension from the NFL. Now the story really heats up when the league claims that they never saw the footage from inside the elevator until TMZ released it on the Internet on Monday. TMZ reported that the NFL never requested the footage from the casino. They allegedly only contacted the New Jersey State Police to ask for the full video. They did not release the tape because their jurisdiction is only inside of the casino and the altercation occurred in the elevator in the casino’s hotel, which is Atlantic City Police territory. Apparently Goodell and the NFL never reached out to the ACPD for the video. The Associated Press reported yesterday that a law enforcement official told them that he sent a DVD with the entire video to the NFL office. The official even claims that he received a conformation voice mail acknowledging that the DVD was received. The National Organization for Women and other groups are now calling for Goodell to step down. Now, does any of that, in any way, lend itself towards being a top news story? The answer is no. With all of the hype surrounding this story you would think that Ray Rice was Jack the Ripper. A football player hitting a woman is more important than our border being wide open, ISIS, the IRS scandal, the 9/11 anniversary and the “imminent terror threat” that is set for today, or any other major story of the day. Right now, on the front page of CNN the Ray Rice story is in four of their top six news stories. Barack Obama just ordered military action against ISIS last night but Ray Rice hitting a woman is top news?!? Because of laws passed in New York, the AR-15 rifle was classified as an “assault” rifle and swiftly banned. However, this classification had nothing to do with the weapon itself. Thanks to the ignorance of lawmakers in New York who passed the SAFE Act, all of the banned features were purely aesthetic. 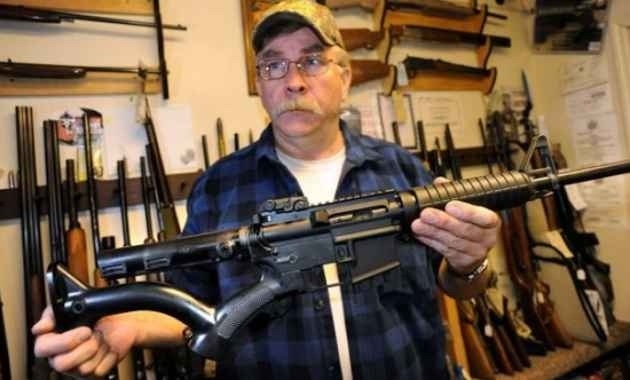 To get around the stupidity, manufacturers have started producing remodeled AR-15’s that don’t have the fixed stock, pistol grip, or flash suppressor that made the gun illegal in the state. Would hot pink make them feel safe? The most recent poll on Congress’ approval rating is from YouGov, and it marks an all time low of 6%. There are countless comparisons to be made with such a low approval rating. One that stands out most is the comparison to King George’s popularity during the American Revolution. Most historians agree that King George was approved of by between 15-20% of the colonists of European ancestry. That’s more than double Congress’ rating today. Another poll shows that 29% of voters think an armed revolution will be necessary in the coming years, and it’s not hard to see why. Google’s famous doodles, that are often featured on the search engine’s homepage for national, and international holidays, have honored everything from Caesar Chavez to the Panamanian Independence Day. The birthday of the United States Marine Corps is one holiday that Google chooses to ignore. FOLLOW ME TO THE TRUTH! !